It is official, those teenage years are long gone by this time, you get to face another chapter of your life. You’re barely out of college and going to the work force at this moment and it is up to you to do what you want to do for the rest of your life. You have gotten the freedom that you want and all that is left is to have the courage to take it and own it. When a person you know is turning twenty one, you should be there to greet him and make him feel welcome. Here are some quotes that will help with that, some birthday wishes that he will surely appreciate. You have been nothing but a joy to all of us and on your 21st birthday we wish you all the best. Think of your day this way, it is a start of something new, something you can never expect to. If you are tired by this year of your life, what more will you be when you move on with it then? Live for as long as you can now because the years before your twenty first are the longest. You may be on a slump right now but you have got to cheer up and be a lot happier, my dear. I believe in you and everything that you do, I know you will be alright even years from now. Happy 21st birthday, may you finally achieve all the dreams that you have long been aspiring. If there is something I want to tell you, that is I care for you more than you ever know, girl. This is a milestone in your life, an achievement meaning that you have survived a lot of years. Right now, things may seem so permanent but I am telling you that they are not, change them. Remember that the dreams you have right now can become true if you make the right choices. This year is one of the most crucial of them all for every decision you make will matter later. Your 21st birthday is truly something to be celebrated, a ticket to a brand new world, that it is. Every single year of your life means a chance at a fresh start, so go live your life freely, boy. Thou shall eat more cake and that is what this birthday might just be all about, you eating. Have fun on this truly wonderful day because it is yours and only yours, make the most of it. You may age in years but the heart that loves never grows old, so find the time to love others. The day of your birth should be celebrated because it is what has brought you to this earth. 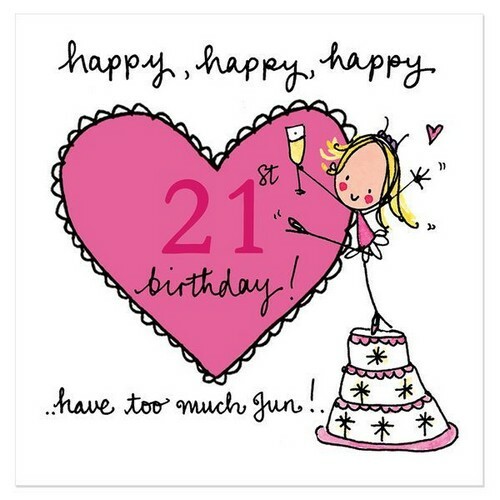 Happy 21st birthday, you are now of age, a legal person already, no more need for fake IDs! You can now start drinking because you are officially allowed to, happy 21st birthday to you. I hope that your 21st birthday gets filled with joy, excitement and happiness, you deserve it. Today is a good day to start living the rest of your life, so get on to those new habits you want. Forget about all the foolishness you once had and start being more mature you are older now. Live a life so amazing that every year of your life will fulfill you at that moment you get older. Your twenty first birthday is a chance, you have got once shot in this life and that is this day. The truth is it is not the years that you are alive that matters but the years that you have lived. Growing old is easy but staying young at your heart is not so I am wishing you all the luck. You are special and I know that because I have been there with you your entire life, my girl. On your 21st birthday, you get to blow more candles than normal because you are now legal. 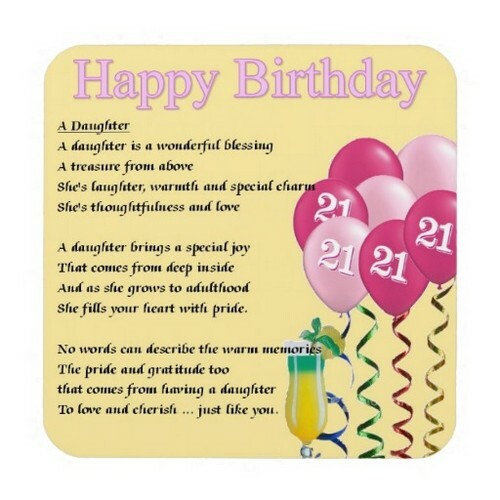 No matter how old you get, you will always be my little girl, always and forever, happy bday. All that I want is to be there for you on this very special day of your life your biggest day ever. Sometimes, I wish you were a kid again because back then you used to so easy to care for. You were just a kid back then and now here you are celebrating your 21st birthday this day. I don’t even know where to begin but I want to tell you that I care for you, enjoy this big day. The world has given you another year of life and I think you should be real grateful to it, boy. You should definitely laugh as loud as you can and just be happy with this life you are in, girl. 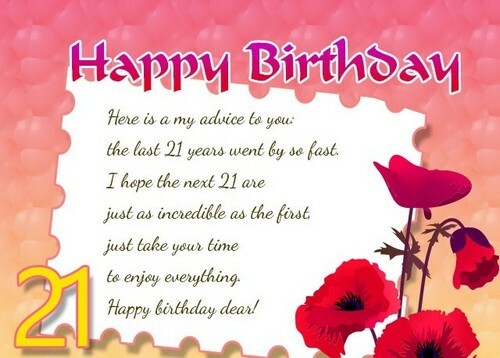 May I live long enough to watch you succeed in your life, I wish you a happy 21st birthday! The day you grow up is the day you learn all of your obligations and still smile despite them. I want to be that person you celebrate this birthday with, one your most important days ever. Let me tell you that no matter what people may think of you I am proud of where you are now. There is so much more ahead of you, today, as you celebrate your 21st birthday, stay happy. The things you have achieved are no easy feat and you deserve only the best on your big day. Stay being happy stay smiling and keeping it real because you are the best person that I know. Something special will happen to you today, I believe that and I can actually see it coming. Today, on your 21st birthday, start a new adventure filled with the better things in this life. 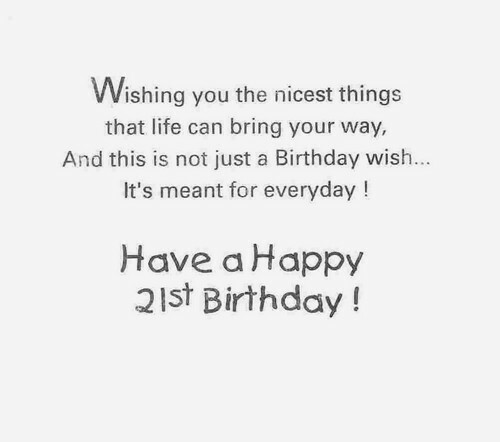 Your 21st birthday is but the beginning of your life this marks the start of a new chapter again. Appreciate every year that you’ve been allowed to get because it is a blessing from the Lord. May you give back to other people, pay your blessings forward and be even more blessed girl. Because you have shown up for the whole year, your birthday is what you call a big reward. 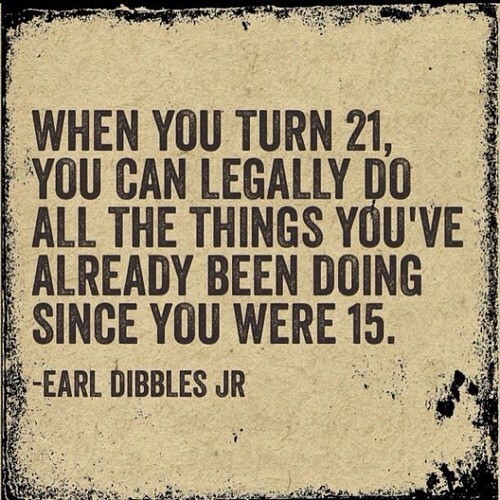 Of course you are legal on your 21st birthday, but be mindful, not every legal thing is good. There is no point in trying to lie because birthdays cannot be hidden anymore in these days. Stop counting the years, just count the happiness that you get every time you celebrate today. The older you get the wiser you can actually become so I guess you must be super wise now. This should be a magical 21st birthday for you because you get to have more responsibilities. I do not think you are growing older at all, more like you are getting a whole lot better, boy. You are still that young kid at heart no matter how many years pass you by, that is the truth. You need not lose the innocence you have, you can just go with it and love the life you have. With your 21st birthday comes a lot of freedom but a lot of duties too, so you be careful now. The best way to celebrate today is to party over wine and some good old bread, my dear love. They say celebrating your bday is actually good for you because it increases your satiety, girl. The greatest gift that you can ever receive on this day is the gift of love one that comes within. Never forget this, I know you are going to be the best 21 year old person in this room this day. You are a year closer to becoming a full adult on your 21st birthday, congratulations on that. Turning this age year is truly a big achievement and you deserve a big reward for this day. There is no one else I would rather be with today than you to celebrate your biggest day ever. Now that you are legal, I might as well just ask you to supply me with all the alcohol I need. Go get drunk, buy a gun and live the best of your life because today is your 21st birthday. I brought you too many drinks than you can ever handle because you can drink them all now. Let us grow happy, be free and be wild because turning 21 does not happen every single day. Here is a piece of advice: things will go by so fast, so take things slow, do not rush any thing. A lot of obligations comes with your 21st birthday, so swallow them up, gobble it all up, enjoy. I cannot believe you are turning 21 so soon when I can see you as the 8 year old kid you were. I just want you to be happy, to be able to smile every single day of your life, that is the truth. 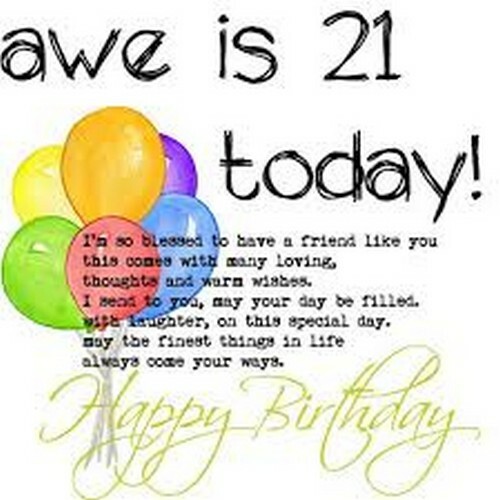 Let your 21st birthday be something to remember, a day to live your life to the fullest, my dear. May you be happy enough that you try to share that happiness to other people just as well. Keep on celebrating this life because that is what it is meant for, to be celebrated and loved. With your 21st birthday come powers such as voting, drinking, dying, and a whole lot more! Remember that a lot of people love you and you need to realize that even just for this day. Let us celebrate your day with a blast, loud music, blaring lights and the best party in town. 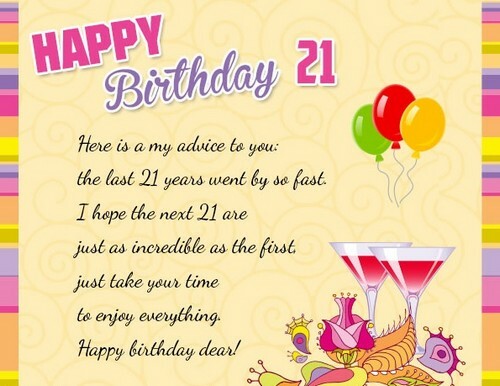 The day you have your 21st birthday is the part of your life where time becomes faster, careful. Gulp all those alcohol down because you are in for a treat tonight, may you enjoy your bday. When you feel things are going wrong, I will be here, hang on to me, I will help you get there. May you not do things that you will eventually regret in your life on your 21st birthday, dear. No wonder you look so amazing because you have a very kind heart, that you really do, love. 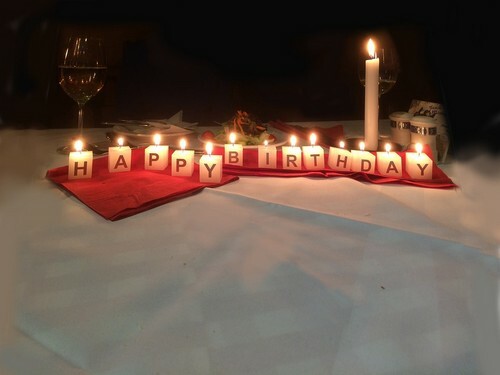 I wish you all the best wishes that I can ever give you, may you be happy all the time, sweetie.